Erica Feininger said she hadn’t left the island of Montreal in three months when she was diagnosed with Lyme disease in June. Erica Feininger said she hadn't left the island of Montreal in three months when she was diagnosed with Lyme disease in June. When she spotted an angry red bump on her hip, she didn't think much of it. But she eventually went to her CLSC, where she was advised to go to the infectious diseases clinic at the Jewish General Hospital. Feininger thought that sounded overly dramatic, but changed her tune when symptoms started to develop. "Nine days after the bite, I woke up in the morning and my eye was fluttering. And by the end of the day my whole face, my whole half of my face was frozen," she said. She went to the hospital and was told she had Lyme disease. After 15 days on antibiotics she said her symptoms subsided. 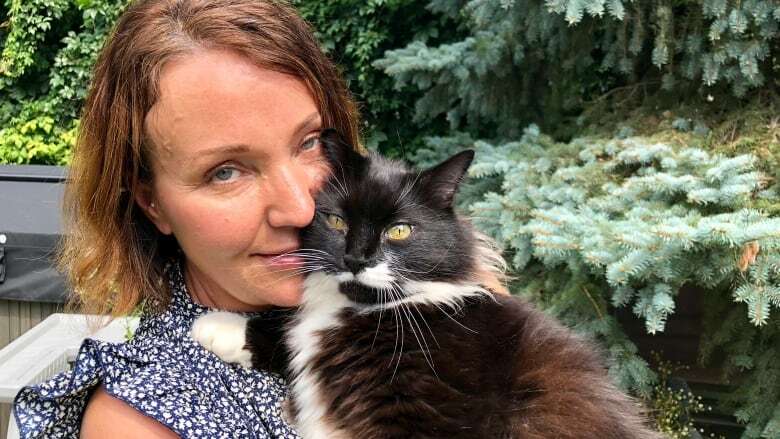 The Verdun resident told CBC that she thinks that the tick that bit her may have been living on her cat — he like to snuggle up to her hip, where she discovered the bite. Lyme disease cases have surged in Quebec this year, with the risk of catching the disease highest across the Montérégie and in the western part of the Eastern Townships. The island of Montreal is typically safe from Lyme disease, but a few cases per year have been reported. 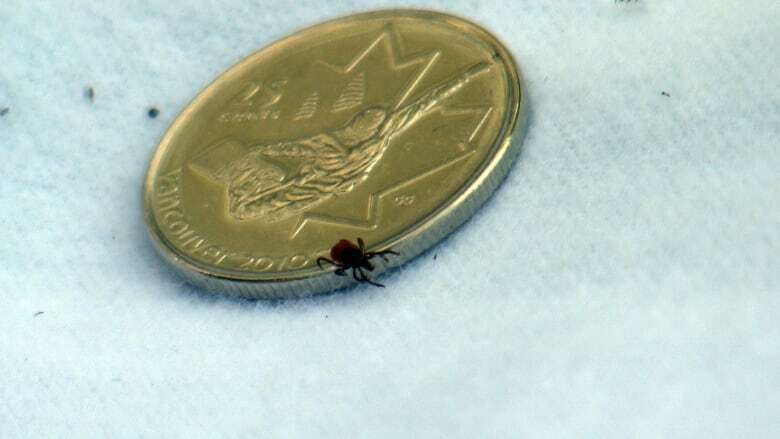 Montreal Public Health physician Noémie Savard said that in the past two years, there have been fewer than five cases of Lyme disease which were likely contracted on the island. "Acquiring Lyme disease on the island of Montreal is not unprecedented, but it's rare," she said. Savard said she thinks ticks are moving north because of climate change. "They appreciate the fact that it's warmer for longer now," she said. Tick bites can happen in a wide range of settings in the great outdoors, including forests, tall grass, gardens near woodlands and shrubs. Savard recommends that anyone going into into nature wear long pants and shirts that cover the skin. Also tuck pants into socks and if hiking, stick to the marked trails. At the end of the day, examine yourself for ticks — their bites aren't painful, so you might not feel anything when you're outdoors. Feininger also says a quick, 30-second check for tick bites daily should be a part of everyone's routine. "If a city woman like me can catch this, we need to start checking ourselves," she said. She now checks her cat — nicknamed "the tick monster" — regularly as well.